As Hamas struggles with the transition from militant group to government in Gaza, the movement has lost much of the initiative in its confrontation with Israel to a number of Salafi-Jihadi groups that promise uncompromising resistance to Hamas and Israel alike. In a recent interview with a Palestinian news agency, Shaykh Abu al-Harith, a commander of Jund Ansar Allah (Army of the Supporters of God) described the current state of the Salafist opposition, which he claims now has 11,000 active supporters distributed between four main groups: Jund al-Islam, Tawhid wa’l-Jihad, Jund Ansar Allah and Jund Allah (Ma’an News Agency, April 18). 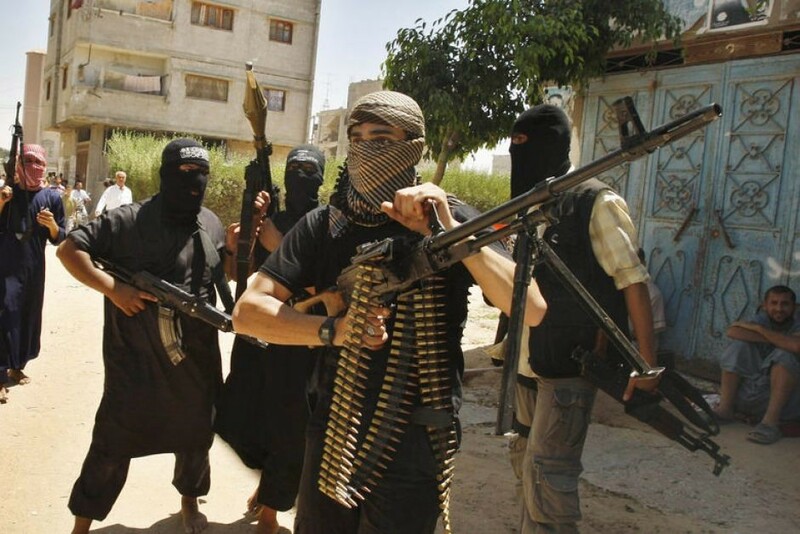 Abu al-Harith insists none of the Salafist groups in Gaza have real ties with al-Qaeda, but all are highly influenced by al-Qaeda ideology, the success of the 9/11 attacks and various high-profile suicide operations in Iraq and Afghanistan. Where Hamas had once inspired its young followers with a commitment to jihad and resistance against Israel, its attempt to form a government did not resonate with many young fighters, who suddenly became available to the Salafist groups. Al-Harith notes that many of these had already obtained military training from the Izz ad-Din al-Qassam Brigades (the armed wing of Hamas), al-Nasir Salah al-Din Brigades and the Harakat al-Jihad al-Islam fi Filastin (Palestinian Islamic Jihad). Recruitment is done carefully, with extensive background checks followed by thorough training in Islam, security techniques and military tactics. After years of relative neglect, Bangladesh is initiating a major overhaul of its maritime security apparatus, designed not only to improve its coastal defenses against terrorists and organized crime, but also to create a navy capable of serving in international peacekeeping operations, an important source of foreign currency for the largely impoverished nation. Following a request from the Dhaka government, the United States has supplied 15 Defender Class patrol boats to the Bangladeshi Navy and Coast Guard to help secure the nation’s extensive maritime borders. The 16 boats will come under the command of the Navy Special Operations Force, with a further six designated for use by the Bangladesh Coast Guard (Daily Star [Dhaka], April 13; Bangladesh News 24 Hours, April 13). According to the U.S. embassy, “This donation is the largest delivery of U.S. Coast Guard boats to any nation” (New Nation [Dhaka], April 14). U.S. forces will provide training in use of the new ships as part of the joint “Tiger Shark” exercise in late May. U.S. military units will concentrate on training elements of the Army, Navy and Coast Guard in counterterrorism operations, anti-piracy operations and general maritime security. Manufactured by Safe Boats International in Washington State, the 25 foot (8 meter) boats are typically used in the United States for search and rescue, port security and law enforcement activities. Defender class boats can be armed with heavy machine guns and are capable of a speed of 46 knots. Since its formation in 1971, the Bangladesh navy has focused on local waters, but took a major step towards international operations earlier this month by sending two warships, BNS Osman and BNS Madhumati, to join the maritime taskforce of the United Nations Interim Force in Lebanon (UNIFIL) (Daily Star, April 12). 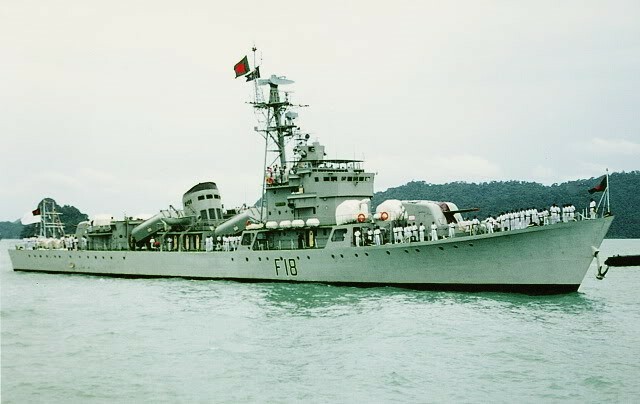 BNS Osman (the former PLAN Xiangtan) is a Chinese-built Jianghu class guided missile frigate that was involved in a 1988 naval skirmish with Vietnamese naval forces in the Spratley Islands. The smaller Madhumati is a Korean-built offshore patrol vessel, built by Hyundai and launched in 1997. Unlike the navy, the Bangladesh army is well traveled, being one of the most prolific contributors to U.N. peacekeeping forces. Since 1988, the army has participated in 30 peacekeeping operations in 25 different countries. These operations are a major source of foreign currency for the government in Dhaka. Only a day before the departure of the Osman and the Madhumati, Prime Minister Sheikh Hasina announced the government’s plan to transform the Bangladesh navy into a “three-dimensional force” through the addition of submarines, maritime patrol aircraft, helicopters and two new Chinese-built frigates. The Korean-built Ulsan class frigate BNS Bangabandhu (formerly known as BNS Khalid Bin Walid), currently decommissioned despite being the navy’s most advanced warship, will also be brought out of reserve (Daily Star, April 11). The Bangladesh military is eager to erase some of the indignities suffered through a large-scale mutiny in the Bangladeshi Rifles (BDR) in February, 2009, in which 74 people were killed in a remarkably brutal fashion, including 57 officers and BDR chief Major General Shakil Ahmed (Times of India, April 7). With al-Qaeda activities in the Sahel/Sahara region of Africa creating havoc with commerce, trade, resource extraction, tourism and general security, the nations of the region appear ready to mount a coordinated military approach to the elimination of Salafist militants. Algeria, with the largest and best-armed of the militaries in the region, launched a sweeping counter-terrorism offensive last week, entitled Operation Ennasr (“Victory”). 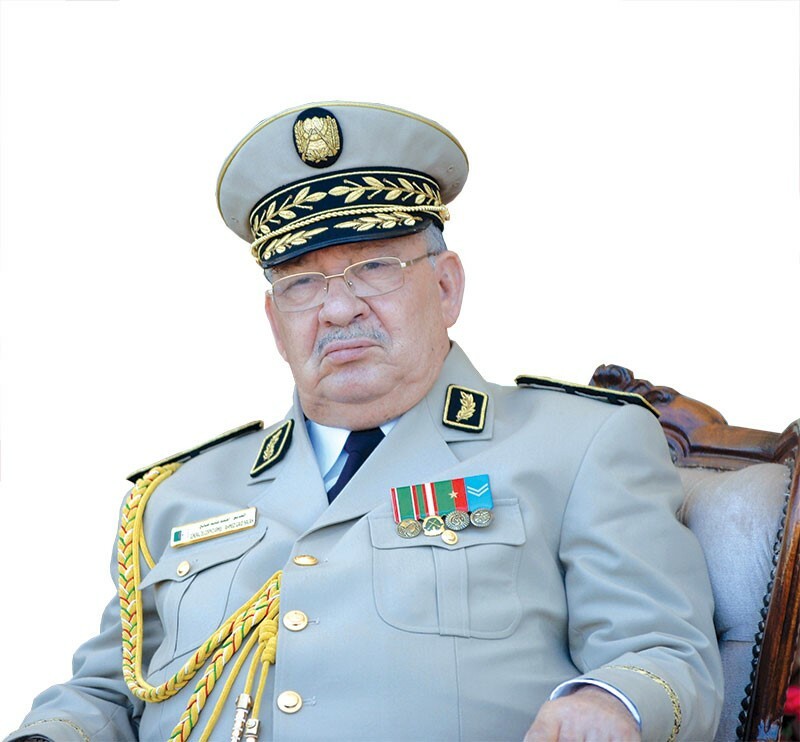 Algeria’s Armée Nationale Populaire (ANP) is under orders from the army’s chief-of-staff, Major-General Ahmad Gaid Salah, to “clean out the terrorist maquis” (Liberté [Algiers], April 13). The operation is targeting bases of al-Qaeda in the Islamic Maghreb (AQIM) in the western, central and eastern parts of Algeria. Unlike operations in the desert regions of south Algeria, Operation Ennasr is focusing on the mountainous and heavily wooded regions where AQIM has its hideouts. Ground and helicopter-borne elements of the ANP are being supported by local police and units of the Gendarmerie Nationale (al-Dark al-Watani), Algeria’s rural police force. The elimination of AQIM elements in Algeria is complicated by the movement’s policy of operating in cells of 4-5 fighters, thus reducing the risk posed to the organization’s survival by any one encounter with security forces (El Watan [Algiers], April 14). It was reported that a ground operation supported by helicopters in the forests of Bordj Bou Arreridj province had eliminated 12 terrorists and captured a number of others. Algerian authorities are using DNA evidence to identify the dead militants (El-Khabar [Algiers], April 14; L’Expression [Algiers], April 15). Lack of surveillance aircraft, heavy transport, jet-fighters and even helicopters in many of the Sahel/Sahara nations inhibits counterterrorist efforts conducted over a vast and often inhospitable region. In this regard, Algeria, one of the few area nations with a large and capable air force, has been urging Nigeria to add its air force to the campaign against AQIM. Algiers has informed Abuja that AQIM Amirs have begun recruiting in north Nigeria (Jeune Afrique, April 17). Both Nigeria and Senegal, another proposed member of the alliance, are expected to attend the next meeting of regional security officials (El-Khabar [Algiers], April 7). After irritating Algerian leaders by including that nation on the American terrorist blacklist following the failed Christmas Day attack aboard an American airliner by a Nigerian would-be bomber, Washington has been making major efforts of late to reassure Algeria it is a vital and trusted part of America’s counterterrorism strategy. A recent visit by FBI officials was followed on April 7 by a visit from U.S. Attorney-General Eric Holder to sign a security agreement covering counterterrorism, organized crime, drug enforcement and judicial cooperation (Algerian Radio, April 7). It was announced on April 20 that a military summit in the southern Algerian oasis town of Tamanrasset had agreed to form a “Joint Operational Military Committee” with headquarters in that town to deal with the problem of AQIM and gangs of drug traffickers who make use of poorly defined or guarded borders. While it was known that Algeria, Mali, Niger and Mauritania were considering such a move, the announcement contained the surprising news that Libya, Chad and Burkina Faso had also joined the initiative. The new joint command, to begin work by the end of April, will include officers from each of the participating Sahara/Sahel nations. Morocco, a rival to Algeria for influence in the region, appears to have been deliberately left out of the new formation. Many details of the initiative have yet to be revealed, including the command’s financing, the composition of joint military forces (if any) and whether joint forces would be permitted to cross borders in pursuit of terrorists (Afrol News, April 20). One motivation behind the rather rapid development of diplomatic and military cooperation in the region appears to be the desire of participating nations to avoid foreign [i.e. American] intervention in the region to deal with AQIM. One of those present at the military summit told a Malian daily that “There was a call on Algiers to act quickly to counteract the interference of foreign forces to act on our behalf. We are strongly against any foreign interference” (Le Républicain [Bamako], April 15). The United States will begin military maneuvers in Burkina Faso in early May, with the participation of roughly 400 troops from Burkina Faso, Mauritania, Chad, Niger, Mali and Senegal. Algeria declined an invitation to participate after expressing concerns about the U.S.-led military exercises (El Khabar, April 15). Though many of the participating nations are eager to receive U.S. arms, funds and training, none have volunteered to host AFRICOM, the new U.S. military command for Africa, which remains based in Germany. Algeria has also taken steps to confront the religious and ideological foundations of AQIM and other extremist movements. The Algerian Ministry of Religious Affairs and Endowments is hosting a meeting this month of regional religious leaders and scholars to focus on grounding regional religious practice on the Maliki madhab, one of the four schools of orthodox Sunni jurisprudence. The Maliki school is widely followed in north and west Africa, and a renewed emphasis on its merits will be offered as a means of deterring the infiltration of “foreign” (i.e. Salafist) forms of Islam that espouse takfiri practices (the declaration of other Muslims as apostates deserving of death) that form the ideological foundation of terrorist groups such as al-Qaeda. The conference is intended to examine “the dimensions of intellectual security, its consequences and the reasons that led to the appearance of negative ideas that had fatal consequences for many countries, including Algeria,” according to Minister of Religious Affairs Bouabdellah Ghlamallah (Magharabia, April 6). Algeria is also seeking technological solutions to the terrorist threat. The recent introduction of sophisticated explosives detectors in the ports of Algiers, Annaba and Oran have resulted in the seizure of 50 tons of TNT as well as 300 tons of chemical fertilizer intended for use in bomb-making. Combined with new restrictions on the sale and distribution of certain chemicals and fertilizers, the inspection of cargos with the new detectors has made it difficult for terrorist groups in Algeria to obtain the necessary raw materials needed to manufacture bombs (El Khabar, April 7). In most dictatorial regimes, only those who are involved in corruption, violations, torture, allegation of false charges against their colleagues, and those who flatter their masters are promoted to higher ranks in the security apparatus. In short, those who are good for carrying out dirty missions (Media Commission of Shaykh Ali bin-Hajj, March 10). Ali bin-Hajj especially called for the regime to avoid appointing military men to head the nation’s security services. The two individuals considered most likely to succeed Ali Tounsi are General Sadek Ait Mesabh and Colonel Muhammad Boutouili, both of the Département du Renseignement et de la Sécurité (DRS – Directorate of Research and Security) (Tout sur l’Algérie, April 12). God willing, this dream of yours will never come true. Your dream of weakening the mujahideen will never come true. The time will never come when you get the upper hand and the mujahideen becomes weak and obliged to accept your conditions. If, God forbid, such a time comes, then our answer will be that the time for talks has passed. Be sure that we will never sit for talks with the enemy when we are weak and powerless… We would rather sacrifice ourselves in God’s path than bow down to the enemy. We will never surrender to this shame (Afghan Islamic Press, April 11). A Hizb-i-Islami delegation was recently in Kabul to present a 15-point Mesaq-e Melli Nejat (National Rescue Plan) to the Karzai government and a number of E.U. and U.N. envoys (Pajhwok Afghan News, April 2). According to Hizb-i-Islami, their peace proposal was “logical, practical and easy.” The plan called for the complete withdrawal of occupation forces in six months, but did not call for the dissolution of the Karzai government, parliament or the security forces. The implementation of this plan has been opposed by “some arrogant and warmongering American generals” who have stressed the need for continuing the war (Afghan Islamic Press, April 11). While urging the Taliban to agree to their proposal, Hizbi-Islami says it is interested only in face-to-face negotiations with other Afghans, rather than negotiating through a mediator. The movement suggests that previous negotiations with representatives of the Taliban’s Quetta Shura, conducted through the mediation of Norwegian diplomat Kai Eide led to the detention of a number of Taliban leaders. Media reaction in Afghanistan to the Hizb-i-Islami statement was mixed. Drawing on past experience of Gulbuddin Hekmatyar’s Hizb-i-Islami movement, some suggested there was no guarantee that the group would stop killing people after reconciliation (Hasht-e Sobh [Kabul], April 10). Others said Karzai’s efforts to build ties with Hizb-i-Islami would be dangerous for Afghanistan, though one columnist suggested the American and Hizb-i-Islami positions on peace talks would inevitably become closer (Mandegar, April 10; Arman-e Melli [Kabul], April 10). The movement’s inclination towards peace negotiations has apparently not prevented it from preparing new attacks in Kabul. Afghanistan’s National Security Directorate announced on April 10 that it had arrested 26 members of the Taliban and Hizb-i-Islami on charges of carrying out terrorist operations and suicide attacks in the Afghan capital (Pajhwok Afghan News, April 10; Mandegar [Kabul], April 11). The issue of who should control weapons belonging to the Lebanese Shiite movement Hezbollah continues to dominate meetings of Lebanon’s high-level National Dialogue Commission (founded in 2006). While Hezbollah insists on retaining its arms as part of Lebanon’s front-line defense against Israel, other national leaders demand the movement turn its arms over to the state for incorporation into the Lebanese Army as part of a National Defense Strategy. Most vocal of the proponents for this latter course is Samir Ja’ja (or Gea’gea), the leader of the Lebanese Forces (LF), a once formidable Maronite Christian militia that has now entered the political process. It is not true that the Lebanese Army is incapable of protecting Lebanon, and Hezbollah alone is capable of this. In the army there are more and better trained special units than those possessed by Hezbollah. Why do we not allow the army to draw up the necessary plans to defend Lebanon and its south? … We consider that Hezbollah’s weapons expose Lebanon to danger more than they defend it (al-Sharq al-Awsat, April 16; Now Lebanon, April 14). This danger emanates from the threat to Lebanese sovereignty posed by Hezbollah’s independent military. Ja’ja maintains Hezbollah is part of a regional network that “starts from Tehran and does not end in Damascus” (al-Sharq al-Awsat, April 16). Decisions regarding confrontation with the Israeli enemy are made not by the elected officials in Beirut, but by Hezbollah in coordination with Tehran and Damascus. Hezbollah insists its weapons are “not a subject for discussion” in the National Dialogue (Daily Star [Beirut], March 8). Ja’ja says Hezbollah is not serious about its participation in the National Dialogue as it has failed to present its own plan for a national defense strategy. 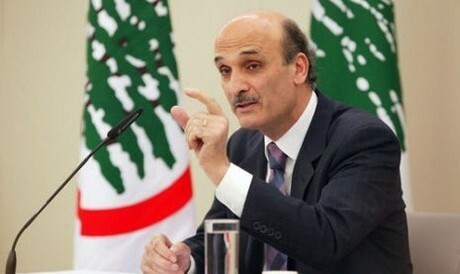 The LF leader says his party would like to see the Lebanese Army develop special units similar to Hezbollah’s highly mobile guerrilla forces (Now Lebanon, April 11). Negotiations on the arms issue have been complicated by unconfirmed Israeli and U.S. claims that Syria is supplying Hezbollah with Scud missiles, a weapon whose relative immobility, sluggish deployment and need for a large support team of technicians and vehicles makes it nearly useless in Hezbollah’s tactical planning, which relies on smaller, highly mobile missiles that can be deployed and fired in the few minutes available before an Israeli counter-strike by fighter-jets. Though Hezbollah and Syria have termed the reports a “fabrication,” Israeli jets have responded by performing aerial maneuvers over Beirut and southern Lebanon (Daily Star, April 19; Reuters, April 16). The primitive Scud missiles were used against Israel by Iraq in the 1990-91 Gulf War, but caused little damage and no direct deaths. Druze chieftain and leader of the Democratic Gathering, veteran warlord and politician Walid Jumblatt, has called for the issue of Hezbollah’s weapons to be dropped from the national dialog after reconciling with his long-time enemies in Damascus (al-Sharq al-Awsat, April 16). Ja’ja’s Maronite rival, General Michel Aoun, who has also reconciled with Damascus, threatened to quit the dialogue if details were leaked to the press. The threat led Ja’ja to suggest, “This is an invitation to talk more and more about the issue of arms” (Ya Libnan, April 15). The new positions adopted by Jumblatt and Aoun forced President Michel Sulayman to adjourn the national dialogue until June 3. A related topic being discussed in the national dialogue is the issue of arms held by Palestinians in Lebanese refugee camps. After a number of recent clashes within the camps, Syria has offered to assist in the resolution of this matter (al-Liwaa, April 9). As Ja’ja pointed out in a recent interview, Syrian intelligence agencies are highly influential within the camps (Now Lebanon, April 9). A communiqué from Salih bin Abdallah al-Qar’awi, a field commander in the Abdallah Azzam Brigades, was issued earlier this month. The commander discussed Lebanese issues in detail while promising further strikes on Israel (al-Fajr Media Center, April 4). A native of Saudi Arabia, al-Qar’awi appears on the Kingdom’s list of the 85 most wanted terrorist suspects. In 2004, al-Qar’awi went to Iraq to join the mujahideen. After fighting in the battle for Fallujah, al-Qar’awi became very close to the late Abu Musab al-Zarqawi, who gave him various tasks in Syria and Lebanon. Eventually he was captured by members of the Nusayri sect in Syria and turned over to Saudi authorities who imprisoned him for eight months. Al-Qar’awi was released when authorities could not prove he had fought in Iraq. Within Lebanon, al-Qar’awi denies having played any role in the wave of political assassinations afflicting that nation, for which he blames Hezbollah and Syria, with the support of Lebanon’s military. Al-Qar’awi insists the Lebanese Army has come under the influence of the Shiite Hezbollah and Amal movements, leading to arbitrary measures against the Sunni community that include torture, detention and murder. Al-Qar’awi acknowledges that his group’s largely ineffective rocket attacks often miss their targets and are sometimes detected and disabled. Nevertheless, such attacks serve the larger strategic objective of disrupting Israel’s efforts to establish security. “It is true that we did not hit vital targets, but the most important thing is to keep attacking them [Israel]. This undermines their security and economy. Moreover, the attacks affect their political plans, including the Judaization of Jerusalem and the psychological normalization with the Muslim peoples.” Though al-Qar’awi accuses Hezbollah of protecting Israel (despite Hezbollah’s strong resistance to Israeli forces in the 2006 invasion of Lebanon), his own group has made only a few attempts to fire rockets across the border. In October 2009, the Abdullah Azzam Brigades tried to fire five Katyusha rockets at the Israeli city of Kiryat Shmona. One rocket fired prematurely, which forced the team to abandon the mission and flee the area (Israeli fighter-jet response time to rocket launches along the Lebanese border is roughly ten minutes) (al-Fajr, October 29, 2009). Videos of Azzam Brigade launches against Israel have appeared on jihadi websites (al-Fajr, July 23, 2009). There are many odd aspects to al-Qar’awi’s message that are inconsistent with al-Qaeda communiqués, for example the mention of Israel by name, the reference to Rafik Hariri as Lebanon’s Prime Minister (al-Qaeda does not recognize “apostate” regimes), the extensive discussion of the Special Tribunal for Lebanon (which has never been an issue for al-Qaeda), etc. (al-Nahar, April 7). Syrian Salafist leader Shaykh Omar Bakri questioned the authenticity of the message, saying, “I doubt that Qar’awi is still alive; the wording used in this message was not the work of a Salafist jihadi but of someone who is familiar with the intelligence world and has a vested interest in Lebanese politics” (Now Lebanon, April 9). A Lebanese security source suggested the message was part of an attempt to foment conflict between Sunnis and Shi’a in Lebanon, possibly as a substitute for “Israeli aggression” or as preparation for it (As-Safir, April 8). It was noted elsewhere that the bulk of the message seemed to focus on an “enemy” other than Israel. “The hostility shown toward the government, the Lebanese Army, and the Shiite sect—with Hezbollah and the Amal Movement as representatives—clearly reveals the forces that will be identified as enemies and targeted” (al-Akhbar, April 6). A Tuareg rebel leader who was sentenced to death in 2008 has been arrested in Niger’s capital of Niamey after returning from exile to negotiate peace with the government (Radio France Internationale, April 1). A veteran Tuareg rebel leader, Ag Boula was sentenced to death in absentia for his alleged role in the 2004 murder of politician Adam Amangue. Ag Boula, who arrived in Niamey in late March, appears to have severely misinterpreted the mood of the military junta which took control of Niger in February. The arrest has effectively squelched earlier speculation that Ag Boula’s return was a sign he had reached a deal with the new government, the Conseil Suprême pour la Restauration de la Démocratie (CSRD) (L’Evenement [Niamey], November 29, 2009). The military has recently arrested dozens of former members of ex-president Mamadou Tandja’s administration, as well as over 600 individuals in an unrelated crackdown on crime (AFP, April 1). Ag Boula arrived in Niamey in the company of the main leaders of the various Tuareg rebel movements involved in the 2009 Libyan-mediated peace agreement—the Mouvement des nigériens pour la justice (MNJ), the Front patriotique nigérien (FPN) and Ag Boula’s own Front des forces de redressement (FFR). All the leaders were covered by a government amnesty except Ag Boula, who remains under sentence of death (Jeune Afrique, April 1). With a brief interruption caused by a military coup, Ag Boula served as Tourism Minister in Niger’s government from 1997 to 2004. A pioneering desert tour operator in the 1980s, Ag Boula is generally acknowledged to have performed well in that role (including a 2000 visit to the United States) before being charged in 2004 with orchestrating the kidnap and murder of Adam Amangue. He was convicted of ordering three men to carry out the murder, all of whom were sentenced to 20 years in prison (Radio France Internationale, July 14, 2008). There was speculation at the time of his 2004 arrest that his detention was intended to spark a new Tuareg rebellion, allowing the Forces Armées Nigeriennes (FAN) to receive additional arms and funds from the U.S. military, which had just begun its Pan-Sahel Initiative, designed to secure the region against terrorists (see Jeremy Keenan, “Security and Insecurity in North Africa,” Review of African Political Economy 108, pp.280-81). While their leader sat in prison, Ag Boula’s men took three police officers and a soldier hostage. 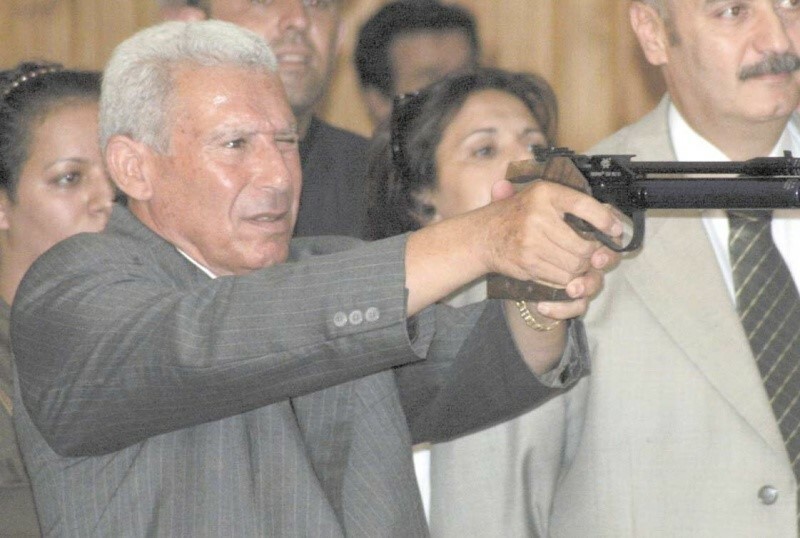 The hostages were exchanged for Ag Boula’s provisional release in 2005 in a deal mediated by the Libyans. Ag Boula fled to France, but when he announced he was returning to Niger in 2008 to join a new Tuareg revolt, his release was withdrawn and a sentence of death imposed following an in absentia conviction for Amangue’s murder (Le Canard Dechaine [Niamey], July 14, 2008; AFP, July 14, 2008). 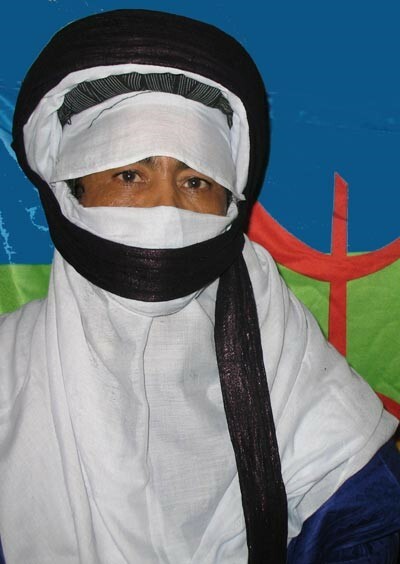 In July, 2008 Ag Boula complained that the MNJ failed to retaliate for Tuareg deaths in a military offensive and left to create his own movement, the Front des Forces de Redressement (FFR) (RFI, June 1, 2008). Ag Boula’s fate will depend largely upon the mood of the junta and their reasons for arresting him. At the time of his conviction the prosecutor stated that Ag Boula could opt to be retried if he returned to Niger, where most death sentences are eventually commuted to life imprisonment (AFP, July 14). Also arrested was Major Kindo Zada, an ally of Ag Boula. A field officer, Zada was closely tied to the administration of President Ibrahim Bare Mainassara, who was assassinated when his bodyguard fired on him with a truck mounted machine gun at Niamey Airport in April 1999. Mainassara had himself taken power in a military coup in 1996. Major Zada deserted the army in 2007, leading dozens of his men and 20 pick-up trucks north to join the Tuareg rebellion (African Press International, July 22, 2007; AFP, April 1). Major Zada is reported to have been arrested on charges related to the 2000 kidnapping of then-Major Djibrilla Hima Hamidou “Pele” by a group of officers loyal to Mainassara (TamtamInfo.com, April 1; Pan-African News Agency, June 12, 2000). Colonel Hima played an important role in the 1999 coup that killed Mainassara and is believed to have been a prime mover behind the latest military takeover. In early March, there were reports that 12 to 15 al-Qaeda operatives and leaders had left Yemen for Somalia. The men are said to have embarked from al-Mukallah, a Yemeni port in the Hadramaut region commonly used for smuggling or shipping weapons to Somalia. Though numerous Yemeni officials have insisted the Coast Guard is highly active off the coast of Yemen, the UN Monitoring Group on Somalia reports little Coast Guard activity in the area, which despite being controlled by the President’s Republican Guard also continues to be a center of drug smuggling. Other reports suggest the al-Qaeda group reached Somalia via airplane, disguised as humanitarian workers. Somali Treasury Minister Abdirahman Omar Osman claims some of the al-Qaeda operatives came by ship from Yemen, while others crossed overland from Eritrea. According to Abdirahman, the al-Qaeda operatives are not Yemenis, but came all the way from Afghanistan and Iraq to escape the military offensives in those countries and because they “believe they can do what they like” in Somalia. The Treasury Minister also suggested that this was only an advance party, designed to determine if al-Qaeda’s “biggest military bases” could be moved to Somalia. Despite this announcement, none of the “al-Qaeda leaders” were named, nor were their positions in the organization announced. The entire story was called into question yesterday when an al-Qaeda source in Yemen denied all such reports, calling them baseless and promising to issue a statement on the allegations soon. The current concern over cooperation between militants in Yemen and Somalia began in early January, when al-Shabaab’s Shaykh Mukhtar Robow Abu Mansur announced that al-Shabaab had decided to send fighters to Yemen to aid their “Muslim brothers” in their battle against Yemen’s regime. The decision was characteristic of al-Shabaab’s short attention span – the movement always seems to find something else to do other than complete its conquest of Mogadishu. Despite these reports of al-Qaeda operatives heading for Somalia, there are other reports coming from inside that nation that say the number of foreign fighters active in Somalia is actually decreasing, due to fear of being cornered there by the much anticipated TFG offensive, leading many of these fighters to return home. Evidence of Militant Movement between Yemen and Somalia? Somalia’s Information Minister (Dahir Mahmud Gelle) claims the new goal of al-Shabaab is to “foment jihad in Yemen,” going so far as to join the Shi’a Huthist rebellion in north Yemen. Though the latter is an unlikely development, persistent rumors place Somali volunteers in the front lines of the Shi’a rebellion. Al-Qaeda fighters were reported by U.S. authorities to be leaving Pakistan for Somalia and Yemen a year ago, but, at least so far as Somalia goes, it seems that many of these were actually misidentified Tablighi Jamaat missionaries, many of whom paid for this confusion with their lives shortly after reaching Somalia. In recent months, al-Qaeda in the Arabian Peninsula has announced an exchange of fighters with Somalia. This was confirmed by al-Shabaab’s spokesman, who said Yemeni fighters would play a major role in al-Shabaab’s military campaign. One al-Qaeda leader, Shaykh Abu-Sufyan Al-Sa’adi, announced how pleased the movement was with Shabaab’s decision to send fighters to Yemen, saying the two movements would soon seize the southern entrance to the Red Sea. 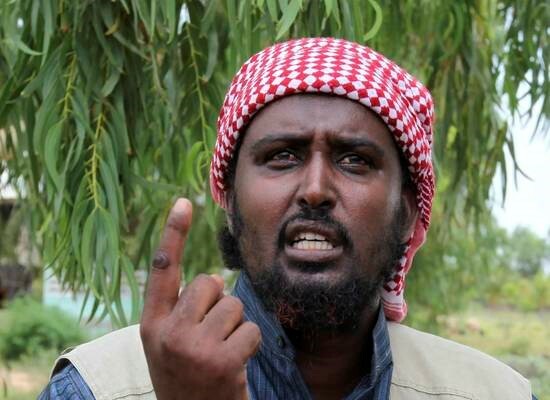 Al-Shabaab spokesman Shaykh Ali Mohamud Raage regards al-Qaeda as nothing more than Muslims who have suffered massacres for practicing Shari’a law and religion in their own country. Al-Shabaab and al-Qaeda share only the “Muslim faith and freedom fighting,” nothing else. Beyond noting that al-Shabaab’s strength is derived internally rather than from foreign fighters, the Shaykh refuses to discuss the exchange of fighters between Somalia and Yemen in the media. The TFG’s state minister of defence, Shaykh Yusuf Muhammad Si’ad Indha Adde, threw fuel on the fire by maintaining Osama bin Laden is looking to “make his biggest base in Somalia,” and is determined to threaten global security by cutting off the Red Sea and the Gulf of Aden. Indha Adde also claims Yemeni rebels are shipping arms to al-Shabaab through the southern Somali port of Kismayo, which is in al-Shabaab hands. Taking the Bab al-Mandab Strait: Dream or Possibility? A videotape released in early February by Sa’id al-Shihri, the deputy leader of al-Qaeda in the Arabian Peninsula, declared that al-Qaeda was determined to seize both sides of the vital Bab al-Mandab Strait at the southern end of the Red Sea in cooperation with their allies in al-Shabaab. The narrow Bab al-Mandab is one of the most important seaways in the world – most of the Western world’s oil supplies pass through the strait. Closing the strait to the 3,000 tankers a year that use it would effectively close the Suez Canal to most traffic, dealing a deadly blow to Egypt which relies on the canal’s revenues. The only alternative for these vessels would be to sail around Africa’s Cape of Good Hope, adding another 6,000 miles to their journeys. Using small fishing boats to deploy barrels full of explosives in the shipping lanes. Inner tubes could be wrapped around the barrels to prevent them from sinking. Deploying a large number of empty barrels or barrels filled with sand to exhaust the efforts of mine-sweeping teams. Creating ambushes for mine-sweeping ships. In a true example of asymmetric warfare, the jihadis say military supplies to Coalition forces in Iraq and Afghanistan could be disrupted and estimate $1 billion in damages could be caused for the expenditure of $1,000. There are reports of other plans to carry out acts of maritime terrorism. The African Union peacekeeping mission in Somalia (AMISOM) and the armed Somali Sufi movement Ahlu Sunna wa’l-Jama’a have both said in recent days that they have intelligence regarding an impending Shabaab attack on the ports of Mogadishu, Bossaso and various Yemeni ports using vessels packed with explosives. Al-Shabaab’s declaration that it intends to send fighters to Yemen has dire consequences for the hundreds of thousands of Somalis fleeing the conflict in Somalia. Yemen’s deputy foreign minister (Ali Muthan) says there are over 700,000 African immigrants in Yemen, of which only 200,000 have refugee status. Somali migrants are granted automatic refugee status, though many fail to register with the government. Interestingly, this year has seen a dramatic drop in the number of refugees reaching Yemen from the Horn of Africa., from 17,000 in the first three months of 2009 to roughly 9400 in the first quarter of 2010. However, this is not due to a dramatic improvement in conditions in Somalia, but rather to even greater insecurity and poverty within that country, preventing many would-be refugees from making their way to the Puntland port of Bossaso for the passage to Yemen. Puntland also appears to be taking long-awaited measures to curtail the human-smuggling industry, long an important source of revenue (together with piracy) in this semi-autonomous Somali province. As a result, the cost of buying passage on a smuggling boat has quadrupled recently. Many of those making the trip now are natives of Ethiopia rather than Somalia. Hundreds die in the passage each year, many of whom are thrown from the boats in deep water by the Puntland smugglers. The Somalis in Yemen have been subjected to greater scrutiny since al-Shabaab’s declaration that it was sending fighters to join al-Qaeda in Yemen. Patrols have been stepped up in Somali neighborhoods and refugee camps, registration has been made mandatory, travel outside the camps has been banned and Somalis found in a motor vehicle are subject to arrest and interrogation by security forces. Two Somali men were even reported to have been decapitated and left in the streets of a Somali area in Yemen’s capital as a warning. With typical disregard for the well-being of Somalis, al-Shabaab has made the often miserable lives of Somali refugees worse. In Yemen, they have gone from economic burden to security threat. With pressure growing on the Somali community in Yemen, community leaders have issued a letter addressed to “the people of Yemen,” condemning all threats of terrorist activity in Yemen by al-Shabaab while asserting al-Qaeda was only interested in creating hostility between the Somali refugees and their “Yemeni brothers.” With nearly a million refugees within the borders of an already impoverished nation and growing complaints of the economic, social and cultural impact of so many refugees, Yemen may use the new security threat from Somalia as an excuse to close its borders to further migration. . Since it controls little more than a few neighborhoods of Mogadishu, Somalia’s transitional government can do little to prevent the arrival of foreign fighters from Yemen or elsewhere. Yemen, however, still has a working government despite speculation regarding its eventual collapse. Sana’a claims to have redoubled its efforts at maritime security as well as establishing an anti-piracy center and opening a diplomatic office in the unrecognized breakaway state of Somaliland as part of an effort to secure the Red Sea. Competition between Israel and Yemen for influence in Somaliland may lead to one of these nations becoming the first to recognize the Hargeisa government. Is there any truth to the story of a dozen or more leading al-Qaeda operatives arriving in Somalia from Yemen in recent days? Somalia’s Transitional Federal Government is hampered by chronic divisiveness, but the one thing all government officials can agree on is the need for drastically increased levels of funding. The al-Qaeda threat is consistently advanced as a means of opening the gates to a flow of cash from the United States and its Western allies, though these funds, like the accompanying arms supplies, typically vanish soon after their arrival in Mogadishu. Of course, mining seas effectively requires a great deal more than dumping a few barrel bombs into the water. The tactic was recently tried by Gaza insurgents off the coast of Israel – total damage amounted to the temporary closure of a few beaches. 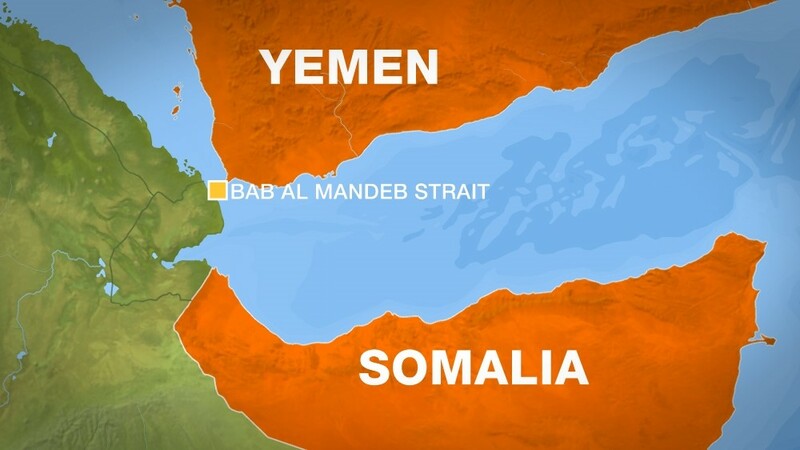 It must also be noted that al-Qaeda and al-Shabaab are utterly incapable of seizing and holding the Bab al-Mandab Strait. Any attempt to do so would inevitably result in their utter destruction and the permanent occupation of the region around it by Western militaries. However, these movements are capable of causing a vast amount of mischief in the area, delaying cargoes, forcing hikes in maritime insurance rates, instigating hikes in fuel prices and forcing costly deployments of naval forces to sweep the area for mines and prevent the deployment of attack boats or bomb-laden suicide ships. There is also the China question. Closing or even interfering with the Bab al-Mandab Strait would cause havoc to China’s petroleum supplies from Sudan. Chinese tankers must load their fuel at Port Sudan in the Red Sea and then proceed south through the Strait. Al-Qaeda activity in this region could easily bring China’s navy, which already has ships in the Gulf of Aden, into the conflict against al-Qaeda. 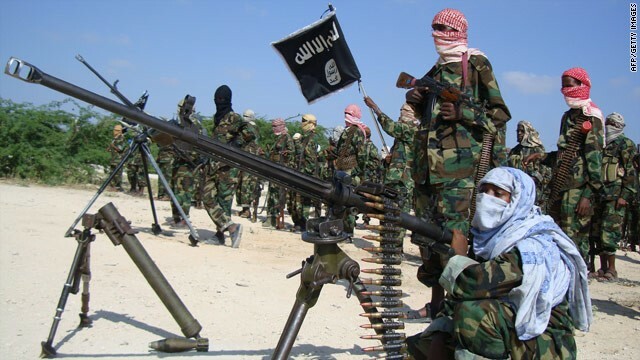 Al-Shabaab’s assertions it is sending fighters to aid al-Qaeda in Somalia should be viewed in the context of the movement’s repeated efforts to ingratiate itself with al-Qaeda’s leadership. Despite declarations of allegiance to bin Laden and their ideological identification with al-Qaeda, the non-Arab Somali movement has yet to be incorporated into al-Qaeda in the way Algeria’s Arab Islamists became al-Qaeda in the Islamic Maghreb. Oddly enough, the greatest threat posed by enhanced cooperation between Somalia’s al-Shabaab and al-Qaeda in the Arabian Peninsula is not at the Bab al-Mandab Strait, or any other part of the Horn of Africa. Rather, it is in the Western nations such as the United States, Canada, Great Britain and Sweden whose diaspora Somali communities provide recruits and funding for al-Shabaab. With a few rare exceptions, the Somali radicals have focused their activities in the Horn so far, but greater integration with al-Qaeda will inevitably lead to a new emphasis on targeting the West. Since the arrest in Pakistan of Mullah Abdul Ghani Baradar and other leading members of the Afghan Taliban, negotiations between the movement and the Karzai government have ground to a halt. 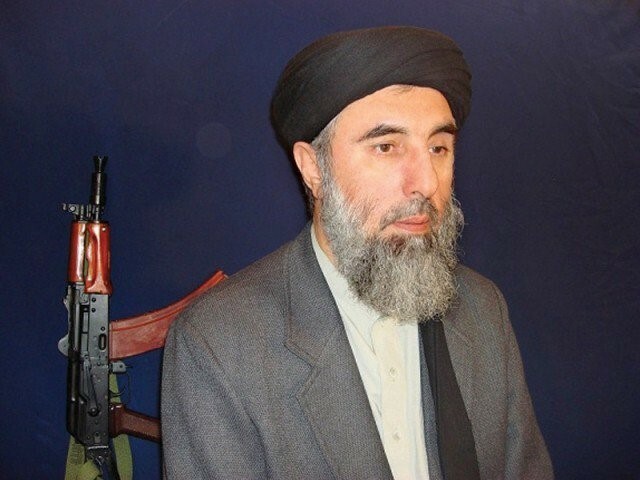 The opportunistic Gulbuddin Hekmatyar, leader of Afghanistan’s Hizb-i Islami (HI), appears ready to step into the peace talks as the representative of the armed Islamist opposition, leaving his Taliban allies outside of the process. Hekmatyar was the single largest recipient of CIA military aid and funding in Afghanistan during the anti-Soviet jihad, as distributed by Pakistan’s Inter-Services Intelligence (ISI), which regarded Hekmatyar as a favorite. Despite this, Hekmatyar’s forces did little fighting against the Soviets, preferring to stockpile their weapons for use against their former mujahideen allies in the post-war struggle for political dominance. During the Afghan Civil War of 1992-1996, HI was notorious for targeting civilians, particularly in Kabul, where their barrages of rockets and artillery killed thousands. The strategy proved to be political suicide; while the Taliban assumed leadership of the Pashtun Islamist movement, Hekmatyar fled to exile in Iran. By 2008 he appeared to have rebuilt an insurgent force inside Afghanistan that was soon fighting alongside the Taliban. Nevertheless, as one Kabul daily noted, Hekmatyar has always betrayed his coalition partners in the past (Arman-e Melli [Kabul], March 31). The HI delegation presented a 15-point Mesaq-e Melli Nejat (National Rescue Plan) to a government delegation consisting of the most powerful men in the Karzai regime (Pajhwok Afghan News, April 2). The delegates also had meetings with EU and UN envoys in Kabul. They rejected the idea of talks with U.S. representatives, but expressed interest in meeting the ambassadors of China, Russia, Iran, Pakistan and Saudi Arabia (Tolo TV, March 30). Qotboddin Helal, the leader of the delegation, told the Afghan press that HI and the Taliban share a common belief in the application of Shari’a, but have important differences in terms of governance. HI favors elections leading to an “elected Islamic government in Afghanistan,” while the Taliban favors the creation of an Islamic Emirate without elections (Hasht-e Sobh [Kabul], March 30). Unlike the Taliban, HI already has representatives in Afghanistan’s parliament, including Minister of Economy Abdul Hadi Arghandiwal. Hekmatyar’s son-in-law, Dr. Ghairat Bahir, was also part of the HI delegation (Weesa [Kabul], March 30). Bahir spent four years in the American prison at Bagram air base on terrorism charges before being released in 2008 (Quqnoos.com, June 1, 2008). He has since acted as a go-between for Karzai and Hekmatyar, who was specially designated as a “Global Terrorist” by the United States in 2003. Another member of the HI delegation, Mohammad Amin Karim, said his movement had officially recognized the Afghan government, the armed forces, the constitution and parliament as “realities.” According to the delegate, HI’s key demand was a six-month long withdrawal of all foreign troops from Afghanistan to begin in July along with the closure of foreign prisons, both of which demonstrated that Afghanistan was an occupied country (Tolo TV, March 30). When details became public, Chairman of U.S. Joint Chiefs of Staff Admiral Mike Mullen quickly dismissed the HI “rescue plan” as “unacceptable” (Pajhwok Afghan News, March 31). HI forces continue to claim attacks on U.S. forces, most recently on Sehra Bagh airbase in Khost province (Shahadat [Peshawar], April 4). The possible return of Hekmatyar was not welcomed by much of the press in Kabul, where he is not remembered fondly. Payam-e Mojahed reminded its readers of the fact that Hekmatyar was affiliated with Pakistan’s secret services, while Cheragh less diplomatically described the HI delegation as “Pakistani stooges” (Payam-e Mojahed, April 3; Cheragh, April 5). Washington is facing a growing disinterest on the part of its allies for continuing military operations in Afghanistan. Karzai’s government has already engaged in secret negotiations with the Taliban in the Maldives while launching a series of aggressive criticisms of U.S. activities and policies in Afghanistan. 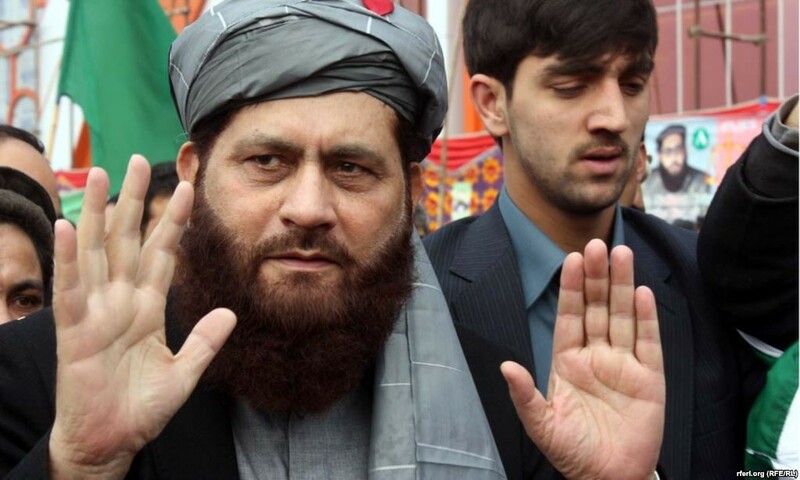 If these are correctly interpreted as signs that the war is drawing to a gradual close, Pakistan’s security services are well served by having the ISI-connected Hizb-i-Islami dialogue with the government while Mullah Omar’s Taliban continue to apply military pressure on the Karzai regime. Al-Qaeda and related Islamist militant groups have long relied on the works of a 14th century Syrian-born Islamic scholar for the ideological underpinnings of their radical approach to religion and politics. Shaykh Taqi al-Din ibn Taymiya (1263-1328) was the author of the seminal “Mardin Fatwa,” frequently cited by militants as justification for political violence. 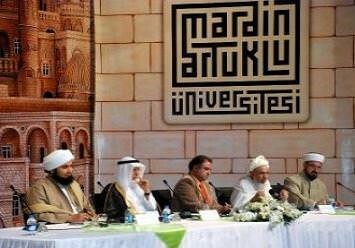 A conference of Islamic scholars was held on March 27-28 at Turkey’s Mardin Artuklu University to re-examine Ibn Taymiya’s controversial ruling. The conference was guided by a panel of 15 scholars from across the Islamic world and aired live (in part) by al-Jazeera TV. Mardin is an historical crossroads of trade and empires; though part of Turkey, most of its citizens are Arabs, Kurds, Syriac Christians and Yezidis. Ibn Taymiya was born into turbulent times, with his native Mamluk state of Syria and Egypt under constant threat of attack or invasion by nominally Muslim Mongol armies. The shaykh solved the tricky problem of Muslims fighting Muslims (forbidden by the Koran) by ruling that the Mongols occupying Mardin were not fully-practicing Muslims, thus legitimizing the mobilization of the state’s full resources in a jihad against the invaders. Though intended for very specific circumstances, the Mardin fatwa has survived as a means of legitimizing jihad against rulers who are judged to be insufficiently Islamic in governance and beliefs. The Mardin fatwa and related works of Ibn Taymiya and his disciples became pillars in the works of 20th century radical Islamists such as Sayyid Qutb, Abdullah Azzam and Muhammad Abd al-Salam Faraj, who relied on Ibn Taymiya for justification of their opposition to secular “apostate” regimes and leaders in the Muslim world. The authority of the 14th century shaykh has been cited repeatedly in the statements and manifestos of numerous Salafist militants, most notably Osama bin Laden. Some of the participating scholars argued that the traditional Islamic division of the world into Dar al-Islam (the Abode of Islam) and Dar al-Harb (the Abode of War) was outdated and did not anticipate the development of international law and human rights. The new Mardin declaration stated clearly, “Anyone who seeks support from [the Mardin] fatwa for killing Muslims or non-Muslims has erred in his interpretation and has misapplied the revealed texts” (Today’s Zaman, April 2; mardin-fatwa.com). Dr. Ahmet Ozel of the Islamic Studies Center of Istanbul noted, “In the medieval age, all states were constantly at war with each other, and there was no system of international law. That is why medieval Islamic jurists saw non-Muslim countries as the Abode of War… Today, Muslims are not only secure and free in European countries; they can even be elected to parliaments” (Hurriyet, March 28; March 30). The scholars also examined the problem of “textualism” (a rigid adherence to texts regardless of changing contexts). Bosnian Grand Mufti Mustafa Ceric observed, “Most ulema [Islamic scholars] have a problem. They know the classical texts very well, but they don’t know the contemporary world that much” (Hurriyet, March 28). • Muslim individuals or groups do not have the right to decide on their own to declare or conduct jihad. • The emergence of civil states that guard religious, ethnic and national rights means the rigid divisions between “Abode of Islam” and “Abode of War” are no longer valid. • The Mardin fatwa and similar texts had been misused not only as a result of changing contexts, but they had been interpreted incorrectly. Organizers of the conference emphasized that the closing declaration was not itself a fatwa, though much of the Islamic press continued to refer to it as such. The conference was sponsored by two Muslim NGOs: the Global Center for Renewal and Guidance (GCRG) and Canopus Consulting. The GCRG describes itself as an “independent educational charity.” Its president is Shaykh Abdullah bin Bayyah, a well-known Mauritanian scholar of Islam who teaches at King Abdul Aziz University in Saudi Arabia. The GCRG vice-president is Shaykh Hamza Yusuf (a.k.a. Mark Hanson), an American convert to Islam who runs the Zaytuna Institute for Islamic studies in California. An internet search did not reveal any prior activities of an NGO using the name Canopus Consulting, though the name is used by an apparently unrelated software firm. The conference received financial support from the Turkish and British governments, though Turkey’s own Religious Affairs Directorate refused to participate (Hurriyet, March 28). Opposition to the conference came from several directions. The top religious authority in Turkey, Directorate of Religious Affairs President Ali Bardakoglu, rejected the entire exercise, saying, “It’s incredibly meaningless for a group of people to gather after centuries have passed to try and invalidate a religious view given centuries ago” (Today’s Zaman, April 2). Reaction also came from an Iraqi militant group, Jaysh al-Fatihin (Conquering Army), which denied that circumstances had changed since the Mardin fatwa. “All of us know that the incidents most similar to our [present] situation were those that happened in the time of Imam Ibn Taymiya…” (Media Commission of Jaysh al-Fatihin, April 1). Elements of Turkey’s Islamic press derided the conference as an example of U.S. efforts to undermine the Islamic world and create a new form of Islam compatible with U.S. interests (Vakit, March 30; April 1). A well-known Turkish scholar, Hayrettin Karaman, insisted that opposition to an existing fatwa could only be expressed by a new fatwa on the same subject, allowing Muslims to decide which scholar’s opinion they trust more (Yeni Safak, April 1). Many Turkish scholars declined to attend out of fear that the conference was organized by the British government. “They’re worried that the conclusion of the conference will be that jihad is no longer valid in our day and age and that this will rule out resistance even under situations of oppression such as that in Palestine today” (Sunday Zaman, April 4). In India, however, the results of the conference were welcomed by a number of prominent Muslim leaders (Times of India, April 2).